Golf Tournament Consultants core services provide a single-vendor solution to facilitate and manage all the marketing, administration and logistical tasks that are traditionally managed by our clients. Simply, we allow our clients and their respective golf committees to strictly focus on promoting their unique golf events - while we do the rest. 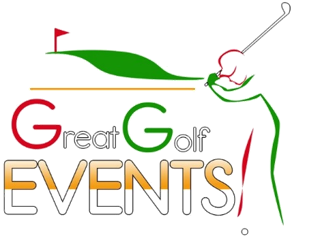 With over 18 years' experience, we have organized and managed over 1000+ golf events worldwide. Golf Tournament Consultants understand that our clients have different needs and expectations of the services we provide. Our customized Golf event plan outlines all the golf logistics associated with the golf outing along with the tasks and action items that must evolve before and on event day. Also included within the golf tournament plan is access to the registration database and pairings document with all the details and demographics on each of your players and/or sponsors. Combined with the event website, Golf Tournament Consultants create and manage a very effective means to simplify and streamline all the golf tournament administration and event logistical aspects associated with your golf event. The main purpose of the tournament website is to provide a foundation for everyone attending, playing, sponsoring, partnering and/or associated with the event to have access to all the event information. Along with capturing registration information online, the website simplifies communications and creates a strong and very effective marketing foundation. Secure all Golf Tournament Gifts, Awards, Signage, HNO Ins. etc. Streamlines Golf Auction Check-Out and Enhances Player Experience. One of the most Innovative and Strategic Services we have Implemented within Our Client Base! "I've been in the business for 30+ years and I can honestly say I have never seen a more fascinating and entertaining golf show than the one you put on for our members and guests. Your amazing power was awesome but what was just as great and important was the humor you injected with your golfing ability. You had the entire audience mesmerized and it really got our event off to an amazing start." "If you are looking for golf at its funniest, look no further than the BEAV and his golf bag full of class clowns. He is a three ring circus of fun."